Projects are continuously increasing in scale. Major engineering projects such as infrastructure - roads, railways and buildings - take years or decades to complete.On large scale projects, engineers can no longer expect tools and technologies used for design and implementation to be consistent from start to finish. Piloting and innovation of new technologies is becoming an ongoing operation which takes place in parallel with project delivery. The convergence of artificial intelligence (AI), big data, automation and the internet of things (IoT) already has widespread implications on the way we design, make and maintain things. These transformative technologies collectively are the drivers of a “fourth industrial revolution”. Previous seismic shifts in industrialisation were brought about by the advent of steam, electricity and digital technology. Today, it is data-driven, autonomous and self-learning technologies which are driving the rapid changes we are seeing across many sectors of business and industry. Of course, information has always been the lifeblood of engineering and manufacturing. It was through processing information that our brains evolved from being able to utilise flint tools, to where we are today – capable of building machines that “think” for themselves. The problem is that now, thanks to our always-connected and online world, information simply flows too thick and fast. Think of the millions of connected machines around the world sharing data, as well as the “digital footprints” that humans leave behind with everything they do. Big Data and AI are two closely related technological concepts that have evolved to help us handle – and hopefully profit from – this explosion of information. So here is an overview of some of the ways this is happening today, as well as some ideas about where it could lead in the future. Major engineering projects such as infrastructure – roads, railways and buildings – take years or even decades to complete. Technology on the other hand is evolving far more quickly. Work began on the UK Crossrail project – Europe’s current largest ongoing infrastructure project - in 2007 and at the time there was no such thing as an iPhone. Very few outside of the world’s most advanced computer science labs had heard of the term “machine learning”, and AI was still firmly the domain of science fiction. On large scale projects, engineers can no longer expect tools and technologies used for design and implementation to be consistent from start to finish. Piloting and innovation of new technologies is becoming an ongoing operation which takes place in parallel with project delivery. On top of that projects are continuously increasing in scale. When the next “tallest building in the world”, Saudi Arabia’s Jeddah Tower, is complete in 2020 it will be close to twice the height of the record holder of 20 years ago (Chicago’s Sears Tower). Schools, hospitals and housing developments must be adequate for a fast-growing population, and roads are designed to carry more traffic than ever before. Projects of this scope require ongoing innovation throughout their delivery to ensure that costs are monitored and kept under control, and efficiency of materials and energy are achieved. Once complete, development of new technology will continue to impact the complex routine maintenance that will be required. A result of this is that the ability to understand, assess, select and deploy these technologies will increasingly become essential skills for any engineer. 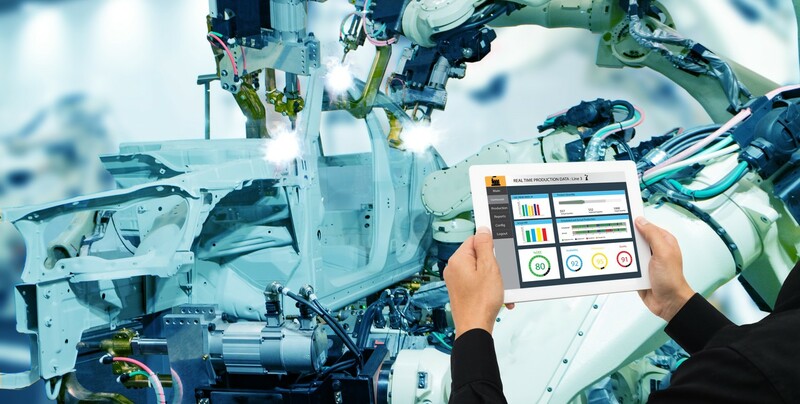 The real-time systems available today, and which will become increasingly widespread in the near future throughout engineering, manufacturing and construction, offer superior insight into engineering and maintenance operations. Sensors and cameras are no longer “dumb” instruments simply feeding data to humans for analysis. Thanks to machine learning and predictive analytics, machines can make decisions about which information is important and needs to be acted on, to avoid overwhelming human operators with mundane, useless data. GE – an engineering giant which has been at the forefront of innovation since the dawn of the electrical age – has developed what it calls the “Industrial Internet” by installing intelligent sensor technology on machinery throughout every sector it operates in. The data which is collected is used to monitor the efficiency of tools and equipment, automatically making adjustments to operating parameters where necessary to optimise output or reduce wasted energy. It also enables “predictive maintenance” – anticipating where failures will occur before they happen, to ensure remedies such as replacement parts or engineers are in place when they are needed, and further reduce overheads. Finnish engineering group KONE is responsible for deployment and maintenance of over 1.1 million escalators and lifts worldwide. At Heathrow airport alone, its machinery moves almost 200,000 people every day. Sensors and cameras attached to these machines capture hundreds of data points about how they are working, how many people are using them, and factors that affect their efficiency. IBM’s Watson cognitive computing service is then used to transform this huge amount of machine data into language that is easily understood by humans (which anyone can in fact eavesdrop on here). Again, AI is used here to turn huge amounts of complicated (and often useless) information into nuggets of insight where it is needed. Japanese vehicle parts manufacturer Hirotec – which supplies Ford, BMW and GM, along with many other auto manufacturers – handled the switch to “intelligent” engineering by starting small and scaling up as they became more experienced with AI and data technology. First automating data-gathering and analytics on individual elements of their operations, before moving on to equipping entire plants with AI and sensors, meant they developed their understanding and proficiency in a manageable way. Today, their automated systems are installed throughout the business and can accurately identify issues at a design, prototyping or manufacturing stage, intelligently alerting the right people at the right time when human intervention is required. Despite the explosion of new technology and opportunities, traditional and time-tested engineering skills and competencies are still essential. Another engineering giant – Honeywell – has harnessed other data-driven breakthrough technologies – this time virtual reality (VR) and augmented reality (AR) to solve the problem of transferring skills and experience from retiring engineers and maintenance workers to new recruits. It has developed training scenarios covering installation, configuration, inspection, troubleshooting and maintenance of production facilities and offshore rigs where its equipment is used around the world. This means trainees can get to grips with complex machinery and operations without risking injury or damage to real-world tools. Data gathered from IoT sensors at the facilities mean that the simulated environment is as close as possible to the real one. Once deployed, engineers rely on AR goggles which overlay what they are seeing with sensor data, highlighting dangers, weak points or components which may be at risk of failure. With analysts at PwC predicting that globally, the engineering and construction industry will invest 5% of its total revenues in digital transformative technology in coming years, it is key that digitisation and automation will continue to play an essential role in the future of these sectors. These technologies – which include AI, IoT, VR and AR, and are all underpinned by Big Data – will enable new solutions which are likely to lead to projects being delivered, as well as operations maintained, in increasingly efficient ways. We should also continue to see environmental benefits assisting the trend towards sustainable growth and development, as these technologies continue to increase efficiency and reduce waste. In what is clearly a highly competitive sector, the growth in investment in fourth industrial revolution tools and technologies will continue to spur on growth of bigger, better and faster infrastructure. Over the next two to three years its likely we will see new leaders emerge as willingness to innovate and adapt to new trends becomes the dividing line between winners and also-rans in engineering.